Richard Schaffer races in the 3rd Generation in his family: Grandpa (3x German Champion), Grandma, Mom and Dad (4x German Champion) take care of his career. The Red Bull Junior Team started with 7 Drivers from 2 Nations in 2001. In 2004 Christian Klien became the first Red Bull Junior in Formula 1. Today there are 20 Juniors from 11 Nations	and 5 titles, 50 winnings and more than 54 pole positions. 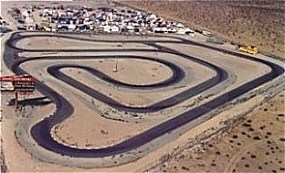 The XPlex motorsports racepark in Las Vegas is my "home racetrack". I started here in October 2004 karting and I'm still every weekend here to practice. Michael Schumacher's kartcenter in Germany features an indoor (length=600m/0.372miles) and an outdoor track (710m/0.441miles). Both can be combined which is than a total length of 0.814miles. 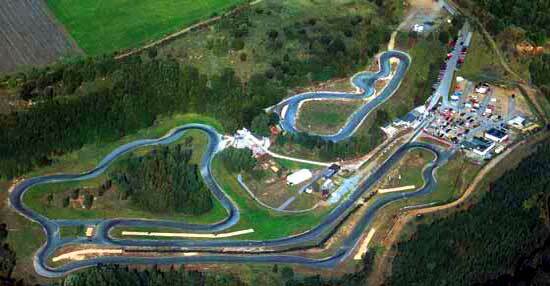 Ralf Schumacher's kartcenter in Germany is a bit newer than from his brother. The outdoor track (1000m/0.621miles) has many turnes. You will have fun outdoor at any weather, because they provide extra fitted karts with rain tires for rainy weather. Kart-Club-Kerpen: Michael Schumacher did start here, and there is also where the 1983 World Finals Kart Juniors Championship took place with Fittipaldi, Frentzen, Hakkinen and others, who are known Formula 1 drivers. This is a THE kart forum for every kart driver in every class in the whole country! You find here nearly every upcoming event and news in the karting industry as long as tips for tuning, etc. This is a forum for german speaking kart drivers which features topics about all the race tracks in germany.